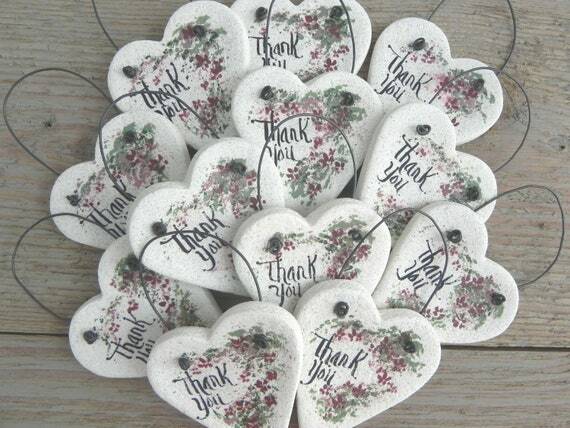 Listing is for a Set of 12 salt dough thank you heart ornaments. Carefully hand painted with a floral wedgewood green swag of antique rose and burgundy flowers, then slightly speckled for a textured, rustic appearance. All ornaments are hand brushed with a sealant of polyurethane and finally fitted with a black wire hanger. Make great little Thank You enclosures. If you prefer blank hearts just attach a note at checkout.